South Coast Generators can help you when you need power in an emergency situation. 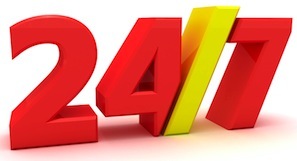 Operating 24 hours a day, 7 days a week we can provide instant emergency generator hire for any application. All of our generators are mounted on road tow trailers and delivered by 4×4 vehicles. If you need power in an emergency out of hours, please call 03300 883950. The team will normally respond within 2 hours providing a rapid response across the South of the UK.